People with disability want the same opportunities as everyone else in the community – somewhere to work, somewhere to live, somewhere to enjoy the company of family and friends, the chance to follow their passions and interests. We want an NDIS that makes these things possible – not stands in their way. 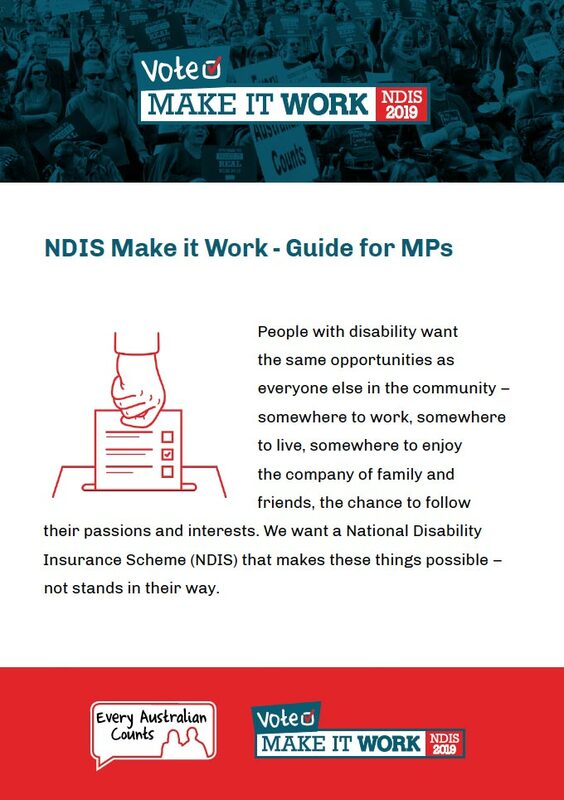 Using the ideas that you have all shared with us in our Make It Work forums, we’ve come up with the three C’s: three useful targets to help get the NDIS back on track. Read on to find out more about what each of the three C’s stand for, and how we can achieve them. 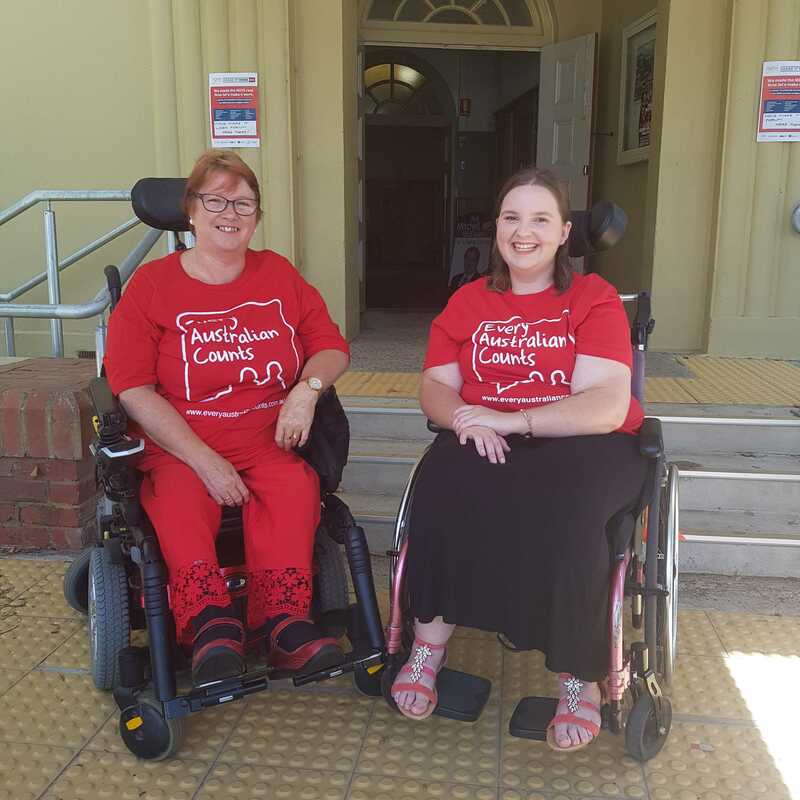 Using our ideas and our voices together, we can tell our pollies what they must commit to this Federal Election so we can finally get the NDIS we’ve been fighting for. People with disability must be in the driver’s seat. It is their experience and their views that must determine priorities and drive change. 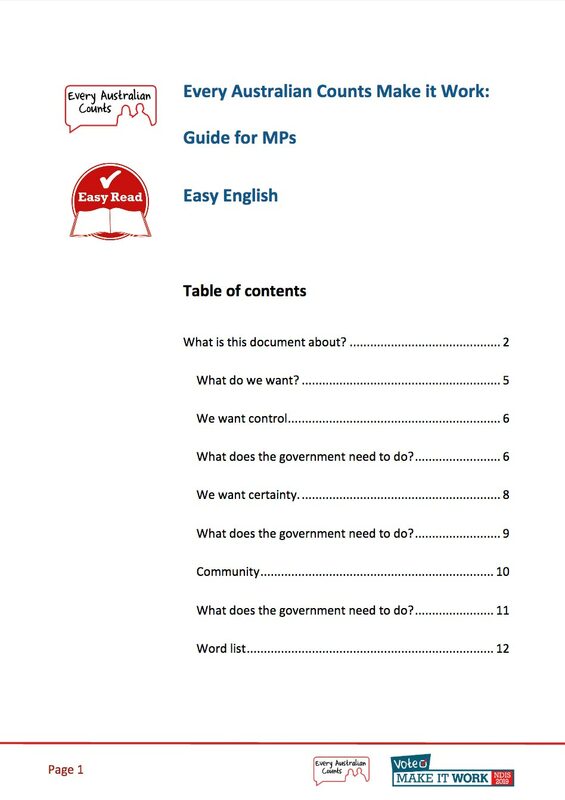 Choice and control must not be undermined or restricted by poor policies and processes. People must be empowered by their experience in the scheme, not further disempowered and marginalised. And above all we want good outcomes for everyone –not just those who are educated, or well-resourced or who have an advocate. 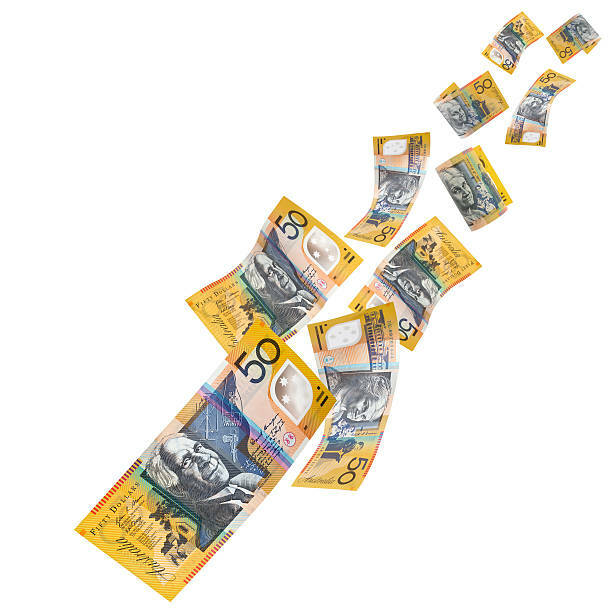 Focused and resourced attention on groups who need more support – such as those with complex needs, or from an Aboriginal or Torres Strait Islander background, or from a culturally or linguistically diverse backgrounds. People with disability, their families and carers want to know the scheme will be there for them when they need it. 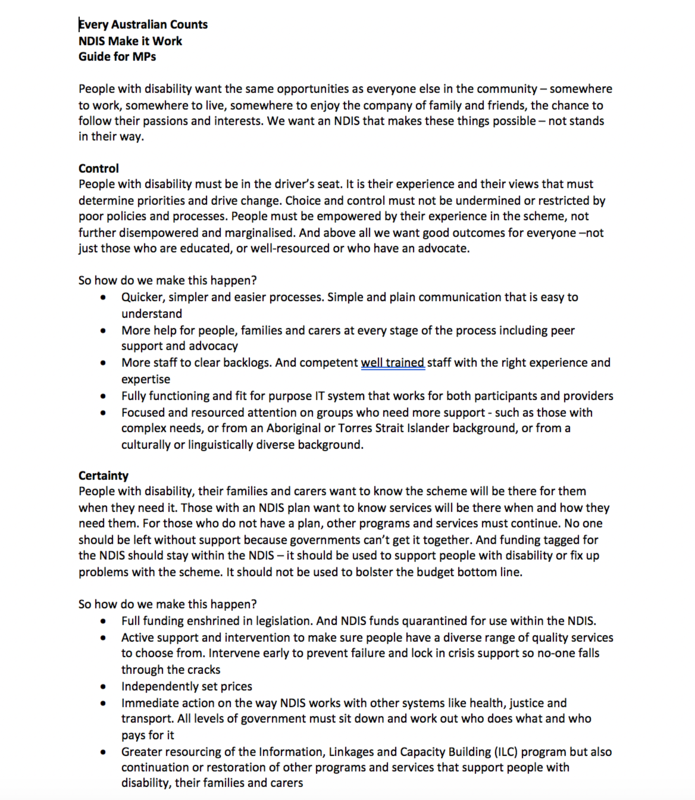 Those with an NDIS plan want to know services will be there when and how they need them. And for those who do not have a plan, other programs and services must continue. No one should be left without support because governments can’t get it together. 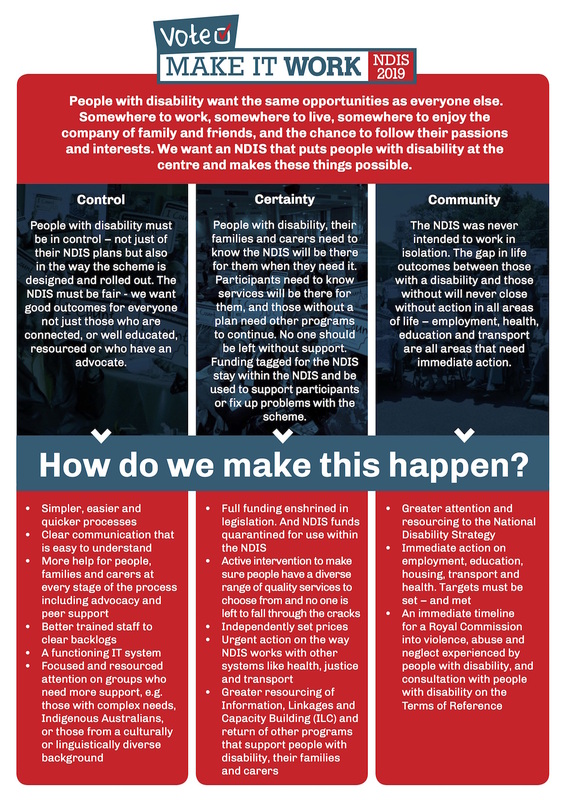 The NDIS was never intended to work in isolation. 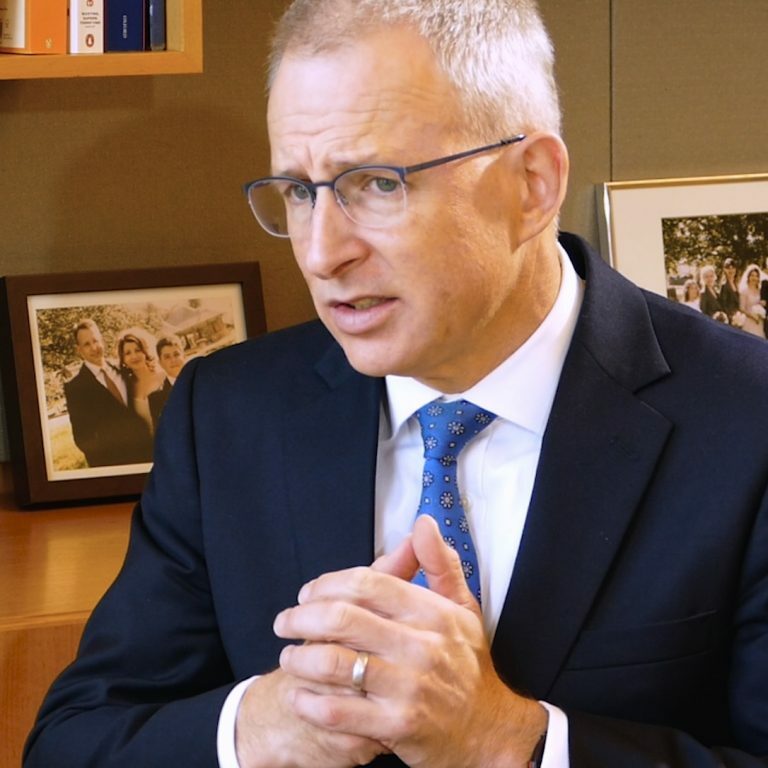 The gap in life outcomes between those with a disability and those without will never close without action in all areas of life – employment, health, education and transport are all areas that need immediate action. If you agree with what needs to be done and want to get involved, you can! 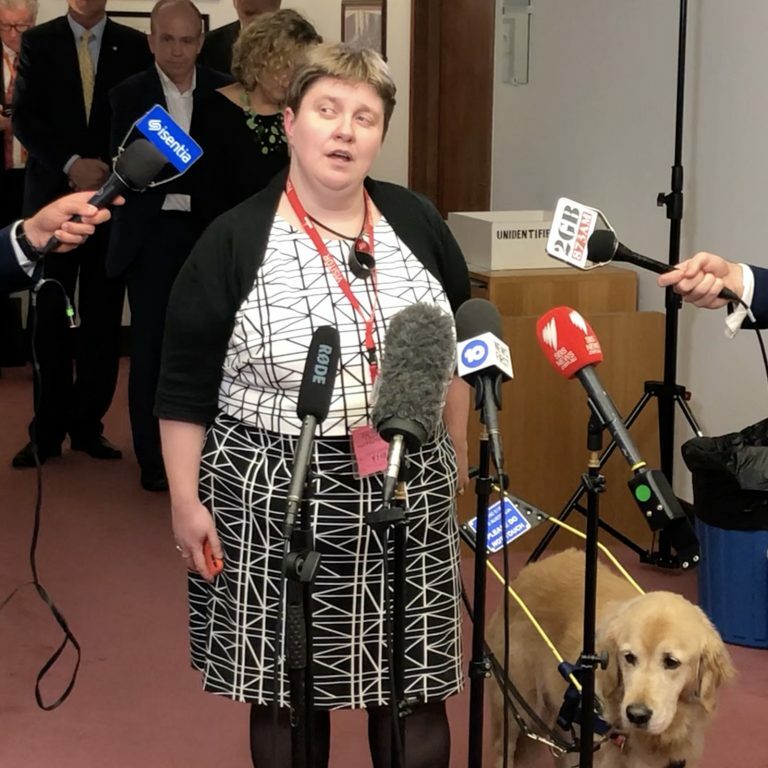 Click on the link and follow the instructions to set up a meeting with your local MPs and candidates, and tell your local pollies how they can deliver an NDIS that works for all of us. Remember, together we are powerful. We fought and won the NDIS – now we can win the battle to get it working the way it should. But we will only be successful if we all work together.